Finding a reliable electrical supply near you for your projects makes life a lot easier. After all, the job will go a lot faster if you have the right equipment for the job. However, there are other reasons why you need to make sure you're using the best components. 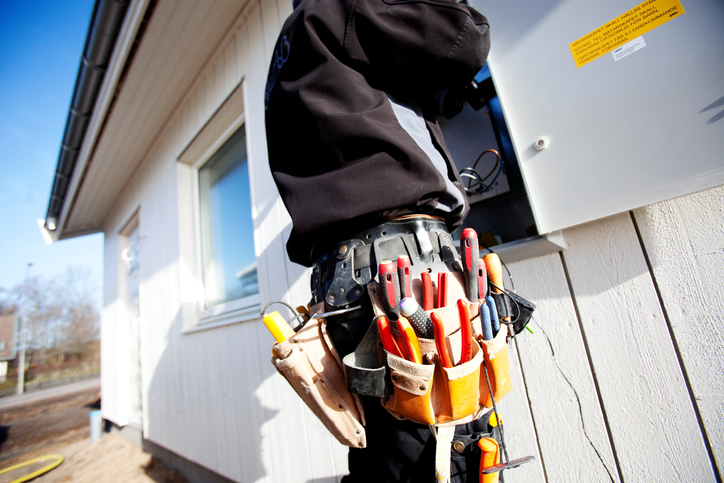 Namely, you need to make sure you're protected while you're working on any electrical system. In order to avoid any problems, you should also be aware of the most common causes of electrical injuries. CESCO wants you to watch out for these three situations. You're working in a hazardous environment – Working with electricity creates a dangerous work environment. Grounding is one way to keep voltage from building up. Without having a grounded electrical system, you could be seriously injured. Be aware of your surroundings and make sure you know if the system is grounded before you begin working. You're using unreliable equipment or tools – Never use electrical equipment, tools, or other components that don't carry OSHA's seal of approval. In order for a tool to be accepted by OSHA, a nationally-recognized testing facility must examine it extensively. This is for your safety, since unqualified tools can place people at a much higher risk of injury – or worse. You're following poor or foolish practices – As a general rule, only highly-trained employees should be allowed to work on electrical systems. Experienced electricians know the importance of proper electrical tool maintenance, lockout and tagout procedures, and other safety measures. If you don't take electrical safety practices seriously, you can place yourself and others in harm's way. Whether you're working on a residential, commercial, or industrial job, you need an electrical supply near you that you can trust. Visit Carolina Electrical Supply Company to see how we can help you today.